Braille CapTel is for people with combined vision and hearing loss who also have difficulty hearing over the phone. 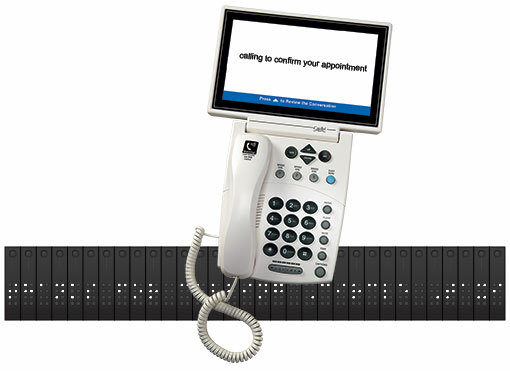 You connect a dynamic braille display to the CapTel phone, either via Bluetooth or by using an USB cable. Then, the CapTel phone provides word-for-word captions of everything your caller says. If you cannot hear what the caller says, you can read captions of the conversation on the Braille display.